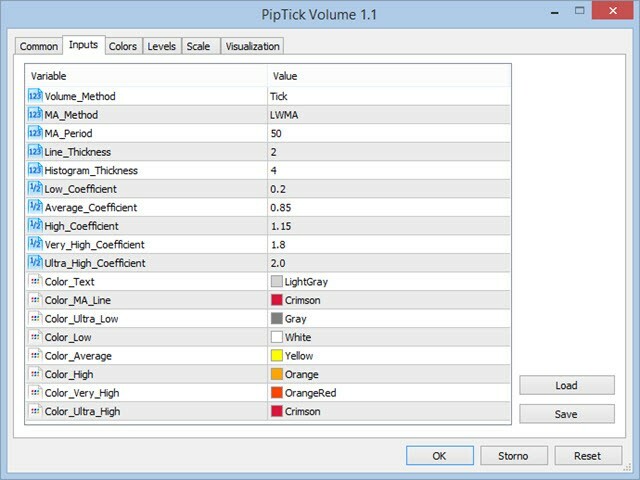 The PipTick Volume indicator is a great tool for measuring tick volume or real volume activity. 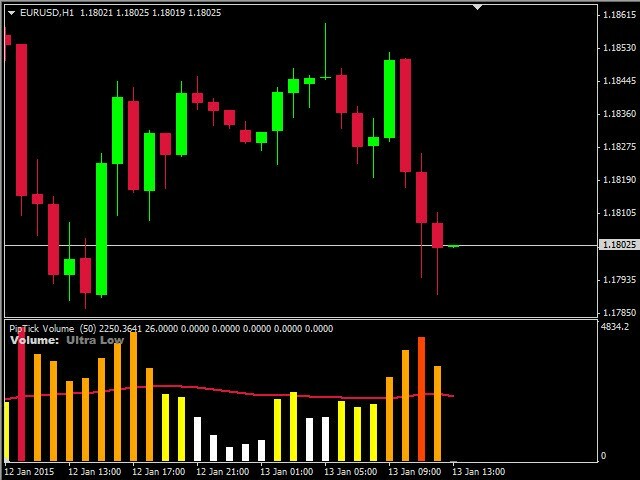 It quickly and easily helps traders to evaluate the current size of volume. 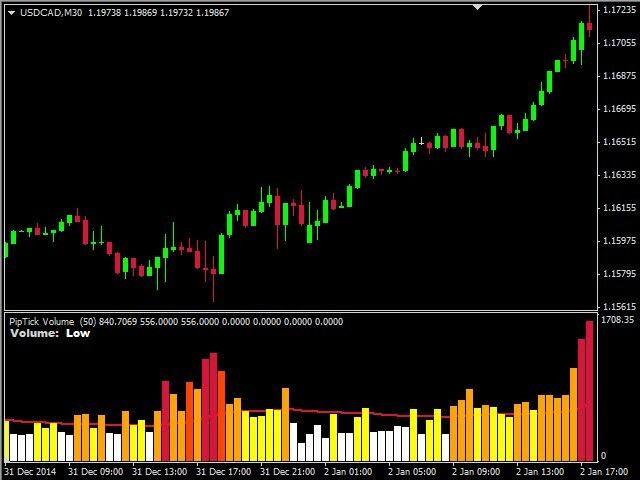 The indicator for classification of the volume size uses moving average and its multiples. 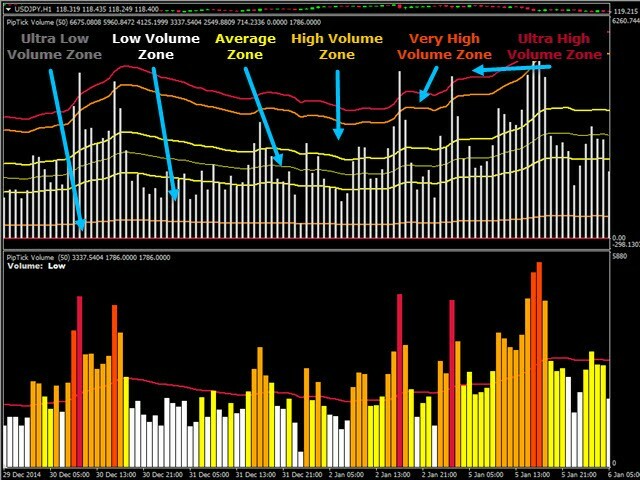 Accordingly, the area where the volume is located (relative to the moving average) is labeled as ultra low, low, average, high, very high or ultra high. By default, there are six zones which can be changed by a user. 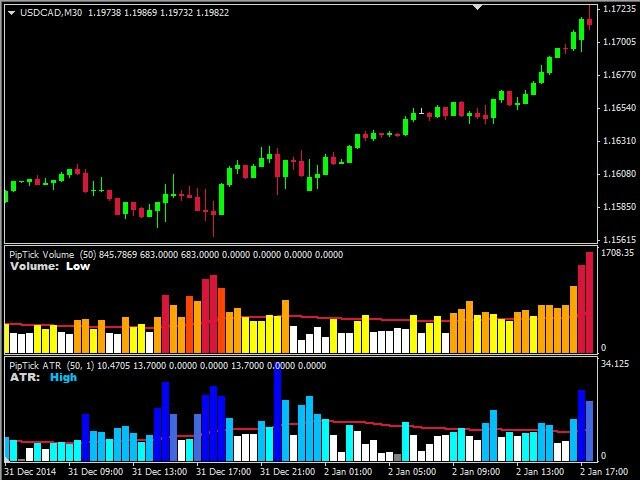 Depending on which zone corresponds to the volume, the bar of histogram is colored by an appropriate color. 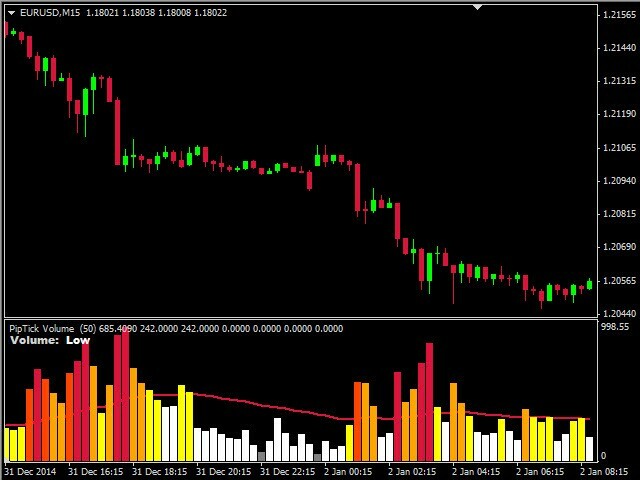 This way you can easily recognize how high the volume is, in comparison with previous bars. excelente indicador. Parabéns ao criador! Отличный продукт! Только не хватает настраиваемых Алертов. 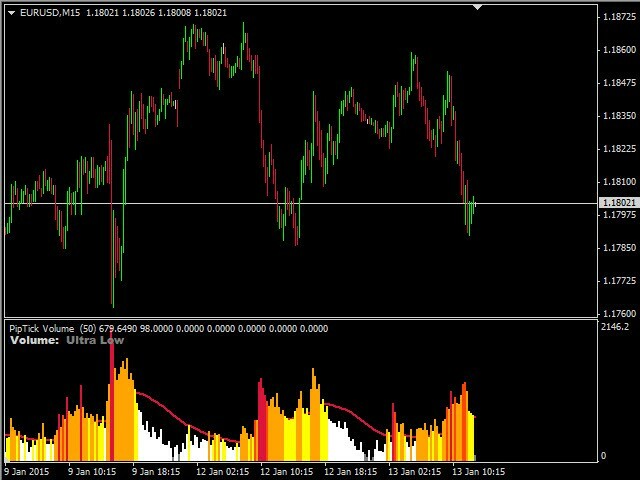 Added new buffer called "Type" for recognizing type of volume.